Several new additions to the Dandelion Fever group since it’s spring time beginnings. Now that the seasons turned again to fall and winter those brilliant shinning globes of yellow dazzle are a memory until the spring. Seasons pass with their signals even in this ”temperate” climate. The green on green is what I see wherever I look here. Every forest holds so many different varieties of this singular color. Perhaps even to the infinite counting. The current series of three Temari is titled “Happy Accident” because of their inception. I started the thread wrap using a ten strand assortment of thread spools. Trying to use up a few partial cones. The color palette was really pleasing to my eye so I decided to do the final wrap using one of each dominant color. Pinks, khaki, orange, yellows. Each one takes a dominant direction. 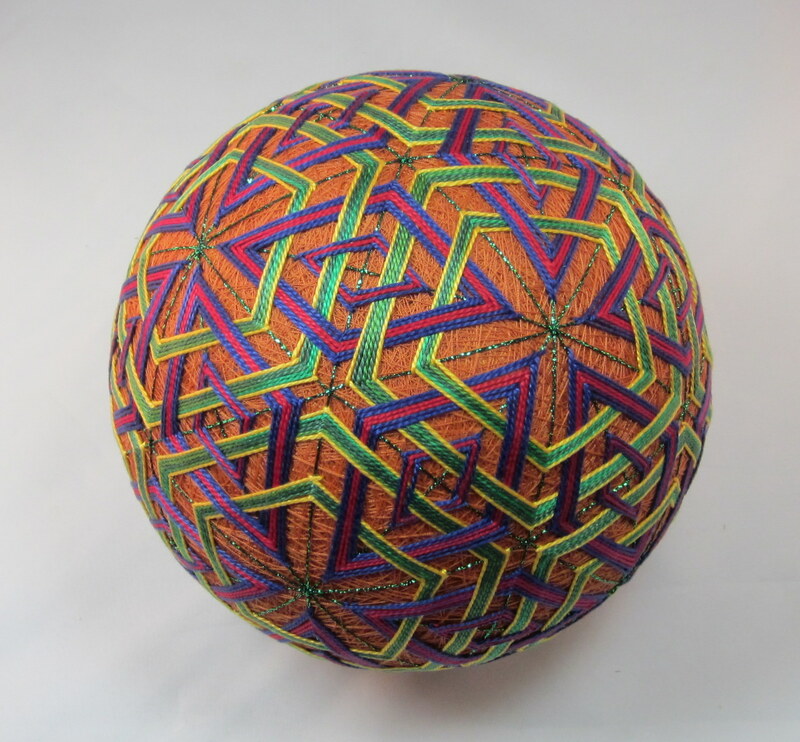 The additional “accident” is the 2 layers of the main patterns in the largest sphere. I’m delighted with how the combination of pattern lines plays together. Getting down with pink has always been a challenge for me and the success in this episode is grand I think. 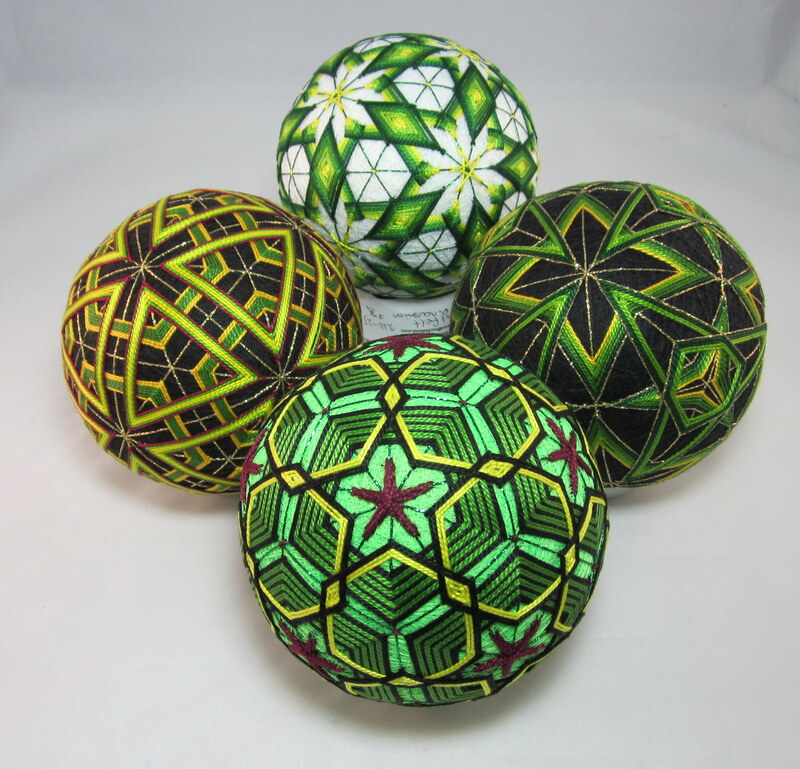 Sphere’s are 5.25” diam., 4.35” diam., 4” diam. C10, C8, C6, all interesting divisions. The largest has four different degrees of design to it. 2 main patterns inter-layed, 2 smaller centers accented. Couldn’t ‘see’ the whole before hand so it’s development came in the doing not by planned intention. Threes years into the art of making Temari and I’m still infatuated with the form, patterns and color play. 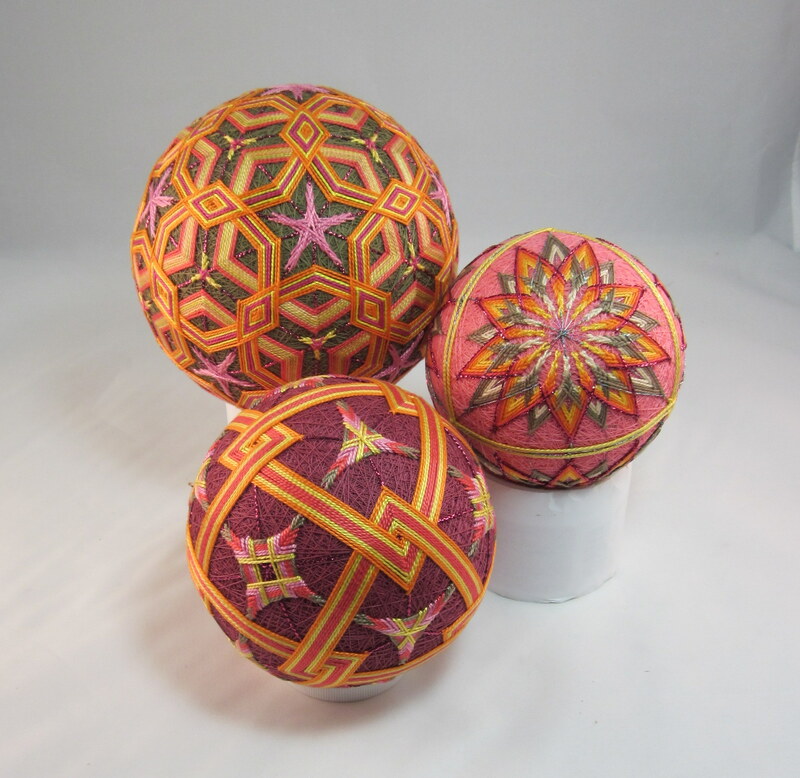 Spheres have been a focus in my work for decades now, painted, beaded, embroidered. I sense no end in sight. 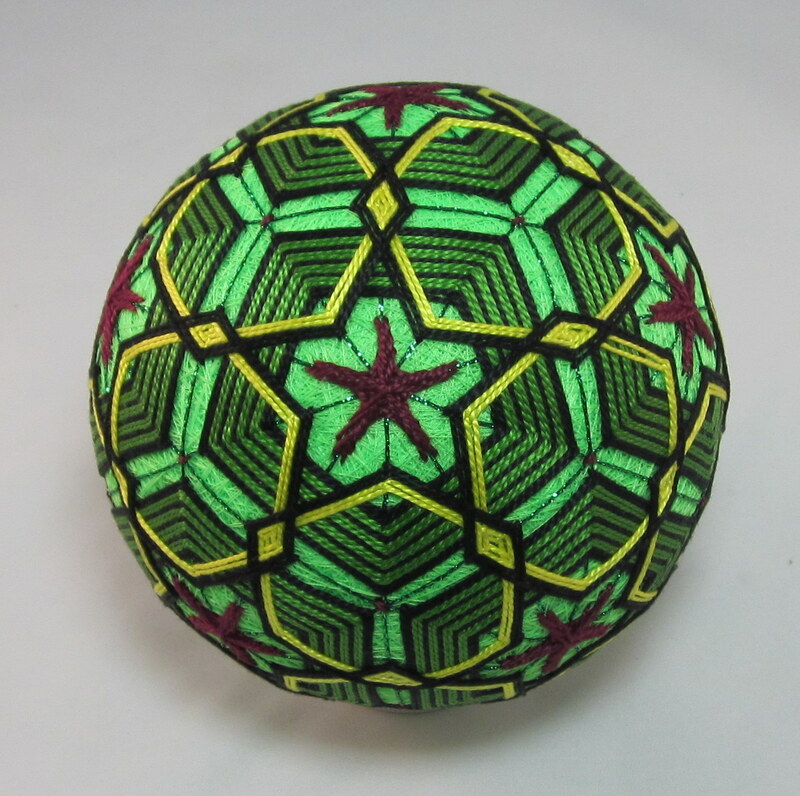 This new Temari is now complete. She is 51.5 cm. or 6.5” diameter. 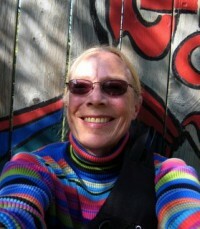 There are four patterns interwoven, working with 42 centers over all. 12 pentagon centers and 30 diamond centers. After winding the Mari and marking with a C 10, I just sat with the form wondering what to do with it. I like this stage, the asking and waiting, wondering what pattern the mind will see this time. I can most always find the pentagon magic but not so much the diamonds. Once the 2 pentagon forms were in place it would have been just as clear following the triangles into pattern. The thing I like about the diamonds is that they also suggest and hint at the cubic hexagon form also on the surface. I say testy and fun as title because from start to finish all the stages of the making process in a thread ball this big are challenging. Being self pushed to gain in confidence and skill are the guide ways, learning to see the patterns emerge without ‘outside of mind’ influence is another great progress. 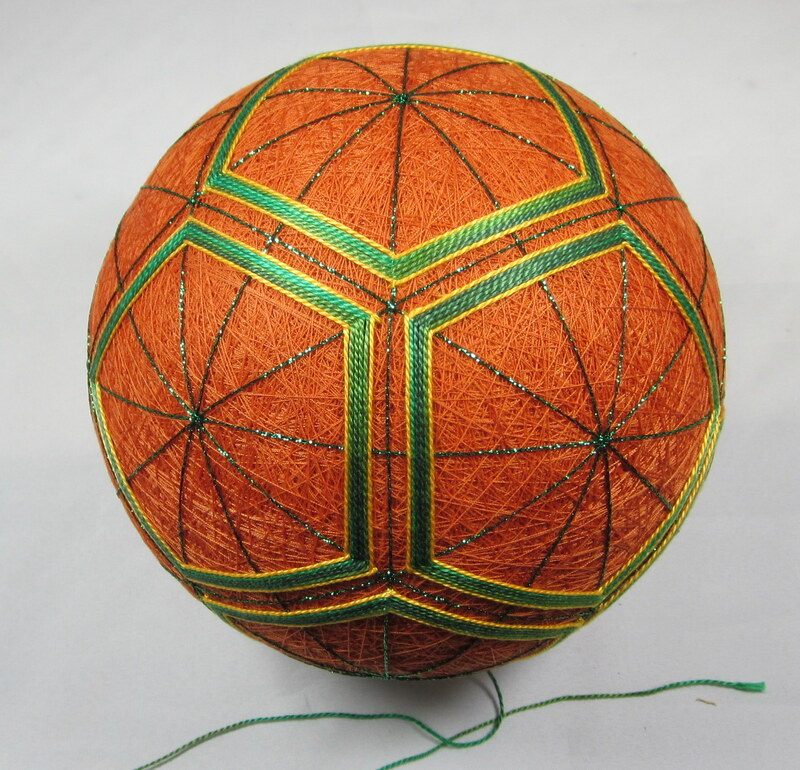 Every so often a particular Temari Ball will complete and it clearly shows me the course of the learning path this medium is taking me on. In the end it’s a feast of brain candy for my mind to play with, at, and in.